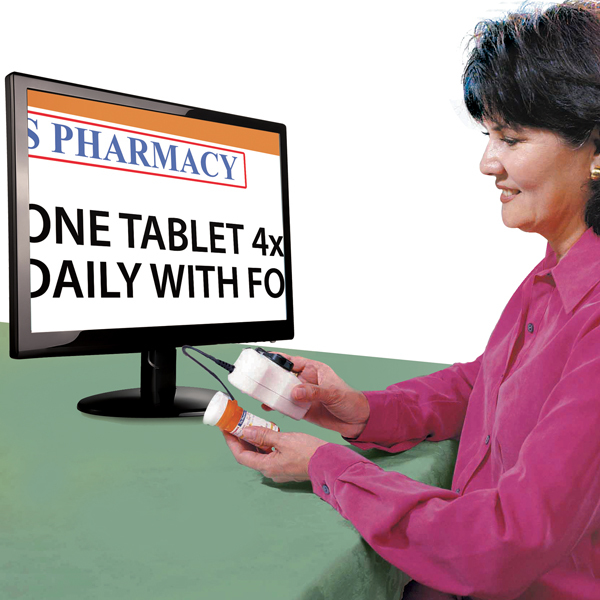 The Reizen Vision Side-By-Side Electronic Magnification System provides enormous flexibility. It enlarges type or any copy between 4x and 60x, allowing you to adjust it to fit your unique needs. This unit provides a large open work area that is ideal for crafts, artwork, industrial inspection, as well as for reading, viewing family photographs and even writing. The camera stand includes a high quality CCD camera with zoom lens, lighting and a moveable XY table. The system is furnished with a 19" black and white flatscreen monitor and features positive and reverse modes for easier, clearer viewing by those with low vision. The slim camera design and durability make the Reizen Vision unit the ideal CCTV system. Large print manual included.All of our electronic magnifying systems (CCTV’s) come with a 100% 2-Year Parts and Labor Warranty along with our promise to repair or replace damaged goods. We also have a return policy that gives you a 100% refund, not including shipping, if the unit is returned within 30 days of delivery. Vendor: Enhanced Vision Systems, Inc.